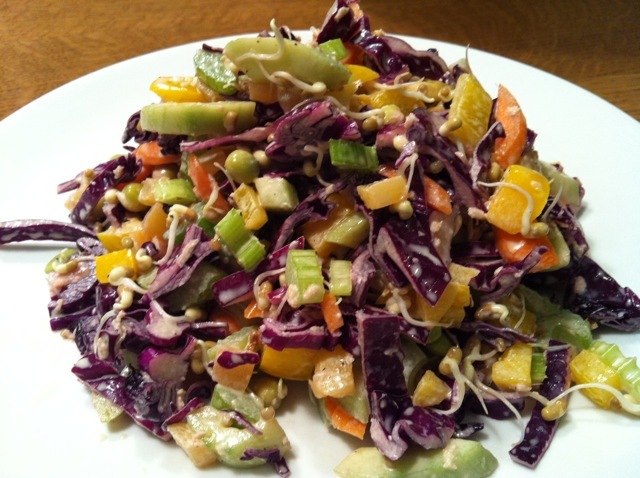 Here’s a salad to nourish the body with life giving phytonutrients. They say you should eat the rainbow. This certainly fits the bill. 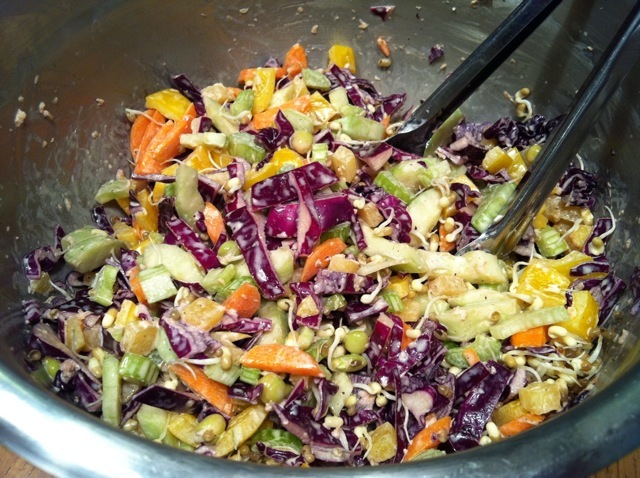 Inside is purple cabbage, carrots, yellow bell peppers, pickled daikon radish, cucumber, sprouted moth beans and sprouted peas. I made a dressing from fresh grated ginger, mayonnaise (ok, not completely vegan), rice vinegar, soy and wasabi. It was filling and delicious. I feel so healthy.